ZINE / Save BIG on the High Life stem! Zine Save BIG on the High Life stem! To celebrate Subrosa riders Simone Barraco and Coco Zurita both earning Bronze medals at the X Games this weekend we’ve got a HUGE deal for you! 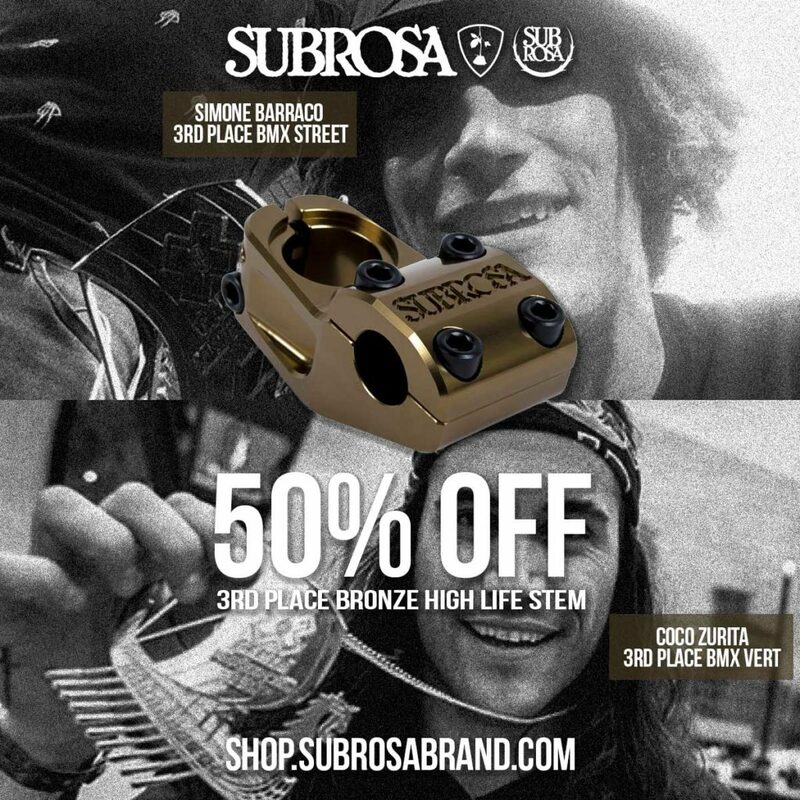 Hit the Clearance Aisle of the Subrosa Store to get a 3rd Place Bronze High Life stem for 50% off! EVERYBODY WINS!